I spoke yesterday of how Emmalee^Crane’s music had no equal and whilst I stick by this assertion, I do believe I have found an EP that comes close to her musical perfection. “Sunshine Young” by Umber (released on Oxide Tones) really does compare favourably to the musical expression of Crane ... but to compare both albums too closely would be folly as whilst there are similarities, they are both uniquely their own expression. “Sunshine Young” is an utterly beautiful expression of neo-classical and post-rock inspired ambient music. The soundscapes presented are so wonderfully joyful that I cannot help but play this release on repeat ... they really do please the soul. The opening track - “Sunshine Young” - sets the scene for the whole release: in it a gently paced drone unhurriedly ebbs and flows along with some subtle background noise whilst a sweet guitar-orientated melody plays in the foreground ... it does make for something very special indeed. And this specialness continues with the second track - “All The Ships” - where Birdsong complements some delightful chords and the scratchiness of an old record … it has an unhurried sense of self that I find both remarkable and unsurprising. The third track - "Through Rocks and Fog" - features a continual drone that flickers and dances like a candle. This drone is underpinned by some interesting clicks and whirring … which add to the track's atmosphere and enhance the foundational drone. "The Warm Calm" is the title of the fourth track. This track features the delight droning ebb and flow that has become part of Umber's signature. It also features some fantastically manipulated guitar and violin from Sophie Green that really adds further layers to the ebbing of this musical tide. Track five - "Gött Mos" - a track that features a field recording of what sounds like children in a school playground and a guitar-orientated drone. The drone plays for most of the track before evaporating after 3 minutes or so … replaced by layers of gentle guitar playing the melody and waves of sound from Sophie Green's violin to complement the simple repetitive refrain. It is a treat to listen to. The penultimate track is a real pleasure. This version of "Sunshine Young" features one of my favourite artists of now - Tom Honey aka Good Weather For An Airstrike - and is very much in keeping with his brand of ebb and flow ambient. The drone presented, along with the sampled dialogue, make this a stand-out track in an already exemplary presentation. When the melody kicks in around the 2 minute mark it is heartbreakingly poignant and beautiful. We then come to the final track - "Öpik-Oort" - a shorter, more dissonant track that finishes the release nicely … rounding it off, so to speak, with some strange yet comforting sounds. 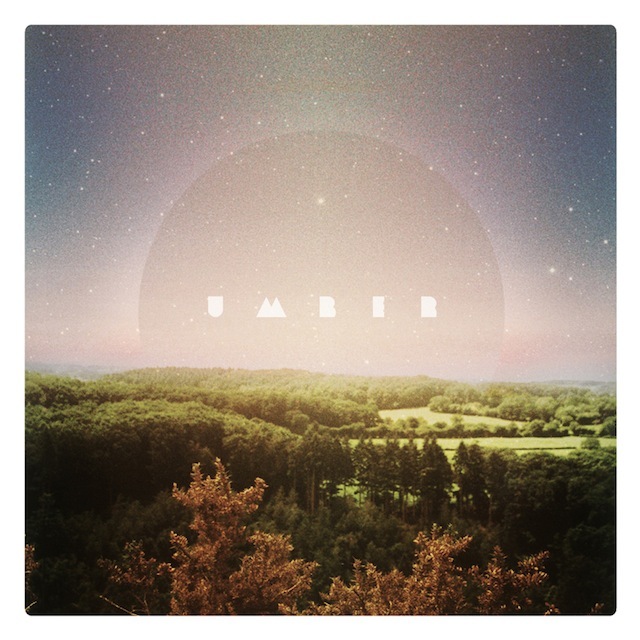 This is a fab release from Umber. He has lived up to the potential he alluded to in his previous releases - "Morning's Pass" and "Earth Feet, Lifted" … and delivered something of real value. I have embedded a player below … have a listen and, if you can, please support independent music by buying Umber's album.